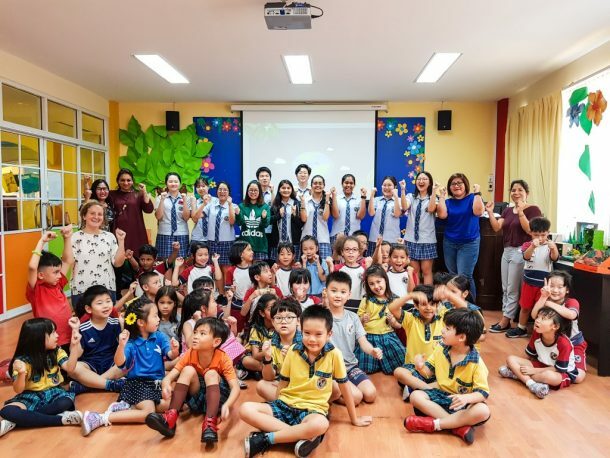 Greenhawks at Thong Lor Campus! 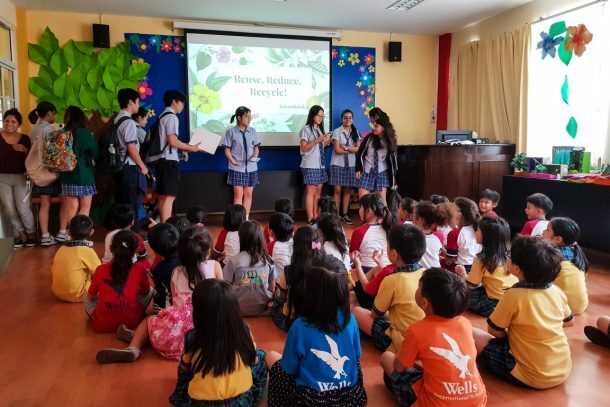 A few years ago, there was a club introduced by some of the students from Wells International School On Nut Campus, known as Greenhawks, that deals with reducing plastic consumption around the school and recycling/reusing papers which is sent to recycling centers in Bangkok. 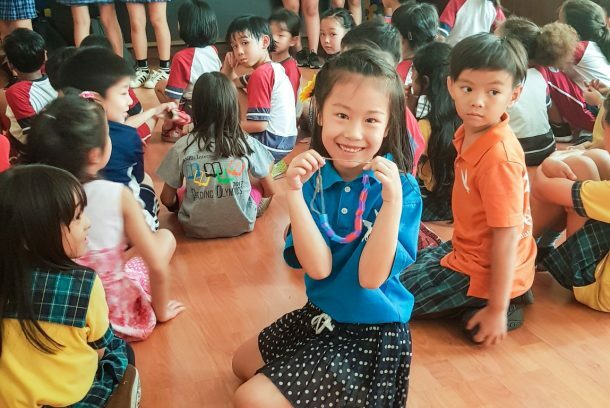 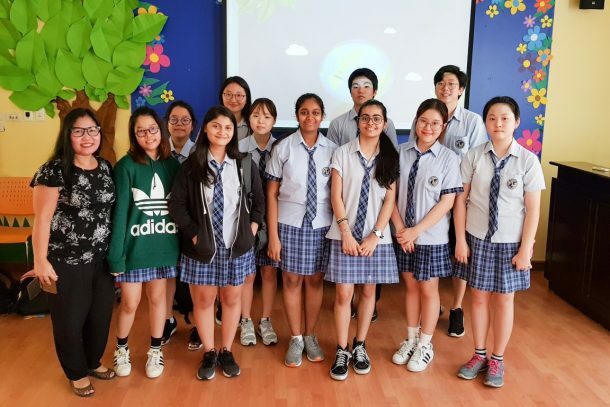 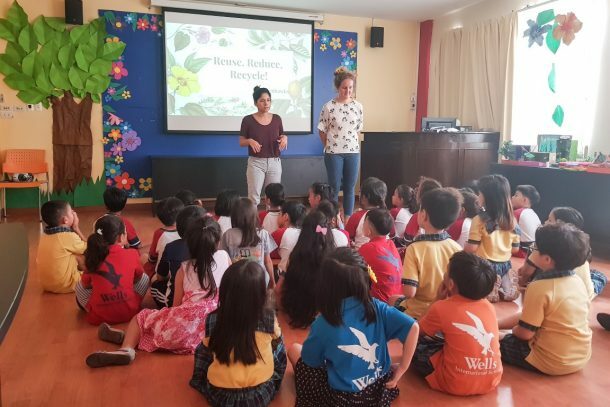 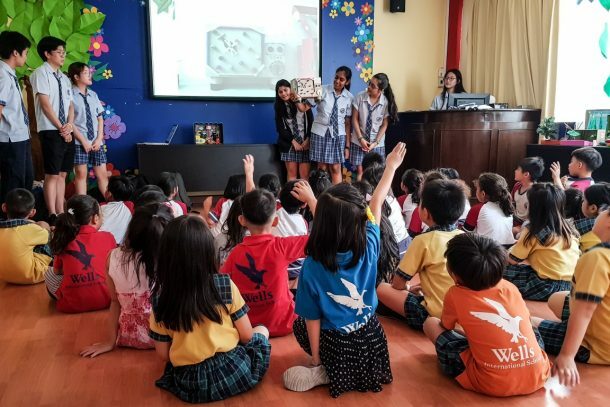 A few current club members, including Ruby, Poorvi, Shradha, Muskan, Yuta, Nicky, Nacky, Christine, Lucy, Jaewoo, and So Yoon, received an opportunity to educate Grade 1 students of Wells international School Thong Lor campus about how to recycle, reuse and reduce waste. 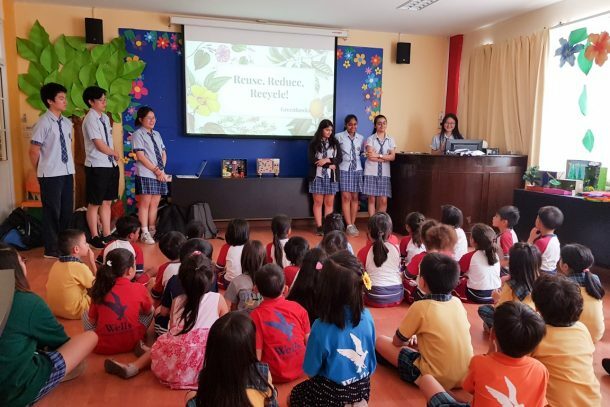 It was a very memorable experience for all members, as it was a great teaching opportunity and they had fun interacting with the little ones! 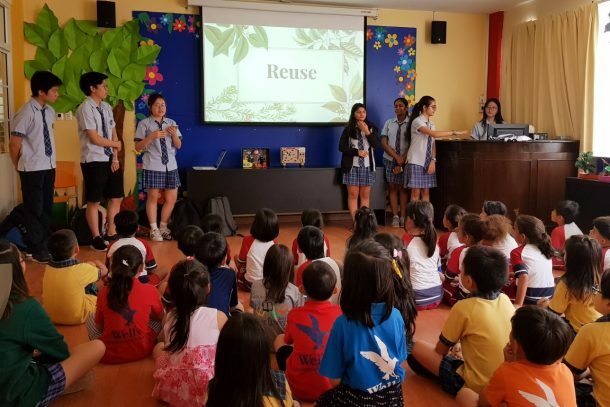 After the presentation, everyone had a very fruitful discussion regarding plastic consumption and ways the Wells community can reduce the amount of plastic around us.